Still recuperating from injuries sustained in Reprobate, freelance assassin and corporate troubleshooter Katla Sieltjes, expert in disguising homicide, finds herself at war with the Kau Hong, a gang of ruthless criminals who will stop at nothing to get their hands on Sphinx Shipping. The potentially lethal situation quickly becomes untenable, when victims fall on both sides, and a Hong Kong sniper arrives to team up with a mute enforcer from the competitive 14K Triad. 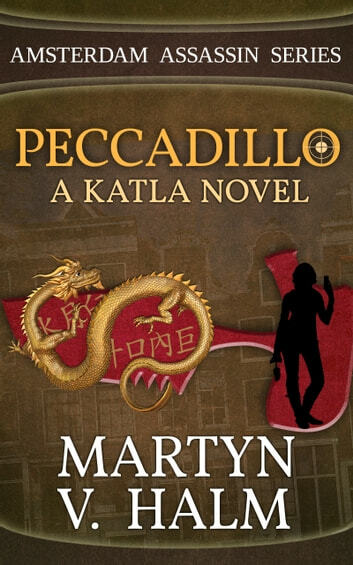 Peccadillo is the second novel in the Amsterdam Assassin Series. 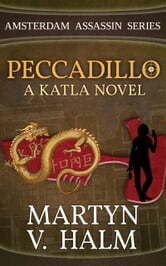 With authentic details and brisk action against the backdrop of the notorious Dutch capital, featuring a devious heroine and a supporting cast of singular characters, Peccadillo gives a rare glimpse into local Dutch culture, Chinese Triads, computer hacking, sniping, clairvoyance, circumventing car alarms, martial arts, the psychology of social engineering, and the brutal efficacy of disciplined violence. This fast paced action thriller is full of epic one liners, observations, need to know facts, and a skilfull plot. A real page turner with a cold blooded heroine.